Exactly nine years ago, on Sept. 2, 2007, I was allowed to leave Iran after spending eight months under arrest and enduring 105 days in solitary confinement in Evin prison. After what felt like endless interrogations, interminable confinement, and threats of a trial and a long prison term, the Intelligence Ministry, unable to come up with plausible charges against me, finally let me go. Looking out the airplane window at Tehran as I departed, I knew I was saying goodbye to the city of my birth, and to my country, for as long as the current regime remained in power. 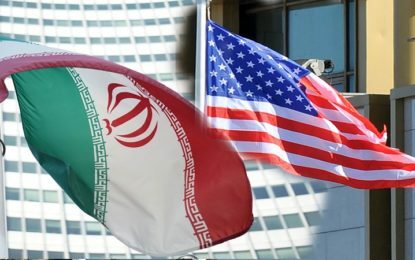 Its paranoia over foreign plots to bring about regime change in Iran leads it to persecute dual nationals as supposed agents of foreign governments. Iran’s Intelligence Ministry and other security organizations grew increasingly powerful during the presidency of Mahmoud Ahmadinejad, and their scope for targeting “foreign agents” expanded dramatically. President George W. Bush’s designation of Iran as a member of the “Axis of Evil” in 2002 and the increase in U.S. funding for free media and other democracy-promotion efforts in Iran–Congress approved $66 million in 2006–fed the regime’s paranoia and ingrained suspicion of people with dual citizenship, nongovernmental organizations, academics, and others. I had not realized then how these suspicions would grow and how the security agencies’ power would intensify. A major development has been the creation and rapid expansion of a parallel internal security apparatus run by the powerful Islamic Revolutionary Guards Corps. 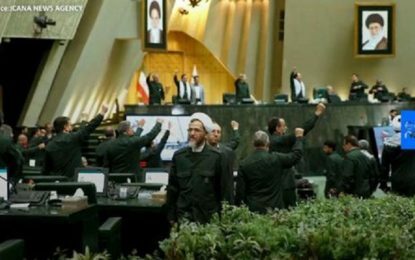 IRGC commanders have interpreted their constitutional responsibility to safeguard the revolution as freedom to replicate the work of the Intelligence Ministry. The IRGC routinely arrests and imprisons Iranians and dual nationals and accuses them of espionage and other serious crimes. It has particularly targeted Iranians who happen to also hold U.S., British, French, and other citizenship (and passports). Academics, think-tank analysts, and business executives have been jailed and charged with trying to overthrow the regime at the behest of foreign governments. When I was held at Evin Prison, Intelligence Ministry interrogators accused me of endangering national security and seeking to foment a “velvet revolution” in Iran because of my work at the Woodrow Wilson Center in Washington. Several dual nationals languish in Iranian prisons on similar charges. Those jailed under such circumstances include Homa Houdfar, a 67-year-old retired professor of anthropology affiliated with the University of Concordia in Canada. Her “suspicious” activity consisted of research on women’s rights under Islam. She has been transferred from Evin Prison to a hospital over her poor health. Also in prison is Baquer Namazi, an 80-year-old retired United Nations officer. His “crime” has been work on poverty alleviation. His son, Siamak Namazi, a 44-year old businessman, has been held at Evin for more than 10 months, mostly in solitary confinement. He attracted the attention of the IRGC’s security arm by working to promote foreign investment in Iran (something, ironically, that the government of President Hassan Rouhani has been eager to attract and promote). All have dual citizenship. Last month another Iranian-American was picked up by the IRGC and sent to Evin prison. Even senior officials are not immune: Last week the IRGC arrested Abdol-Rasoul Dorri-Isfahani, a central bank adviser and key member of the Iranian team that negotiated the international agreement over Tehran’s nuclear program. Gholam-Hossein Mohseni Ejei, spokesman for Iran’s judiciary, said that Mr. Dorri-Isfahani is under investigation for espionage and has been released on bail.